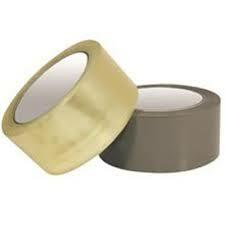 PROTEX 223-2 is a 2 mil polyester film coated with a very high tack pressure sensitive adhesive. Applied to one side of fiber impregnated or aluminum honeycomb core material to hold in place on vacuum table for milling opposite side. The 2 mil polyester offers more flexibility as needed in some areas. PROTEX 223-2 has high tensile, tear and impact strength. It is inert in water, and is moisture/vapor resistance, is unaffected by oils, greases and volatile aromatics. PROTEX 223-2 retains these outstanding properties remaining flexible and tough from -80°F (-62 °C) to 150°F (65.5°C). Applied to honeycomb core material on one side to hold core material in place on vacuum table while being milled or machined. PROTEX 223-2 is used where less protection than PROTEX 223-5 is required.